This revival of Derek Deane's 1997 production (which I last saw in-the-round in 2016) is a joy to watch: a classical staging with inspired choreography, a large, stunningly synchronised corps de ballet and two excellent leads in the elegant, precise Jurgita Dronina as Odette/ Odile, and the explosive Isaac Hernández as Prince Siegfried. His leaps. Soloists Precious Adams and Daniel McCormick were pretty wonderful too. Derek Deane and Frederick Ashton's choreography is combined with magnificent stage design and costumes by Peter Farmer, lighting by Howard Harrison, and, of course, music by Pyotr Ilyich Tchaikovsky, performed beautifully by the English National Ballet Philharmonic. 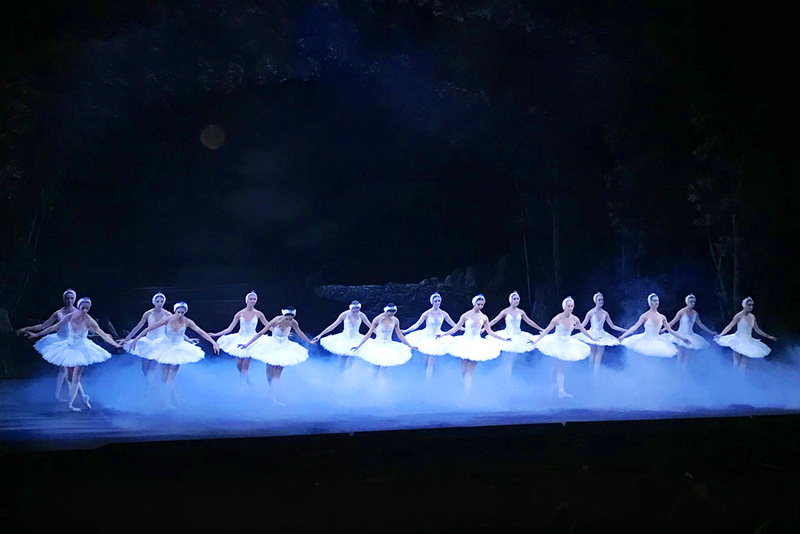 A timeless ballet, an enthralling love story, ballerinas twirling en masse in tutus, and Tchaikovsky’s glorious music makes for a lovely evening indeed. When can I see it again?